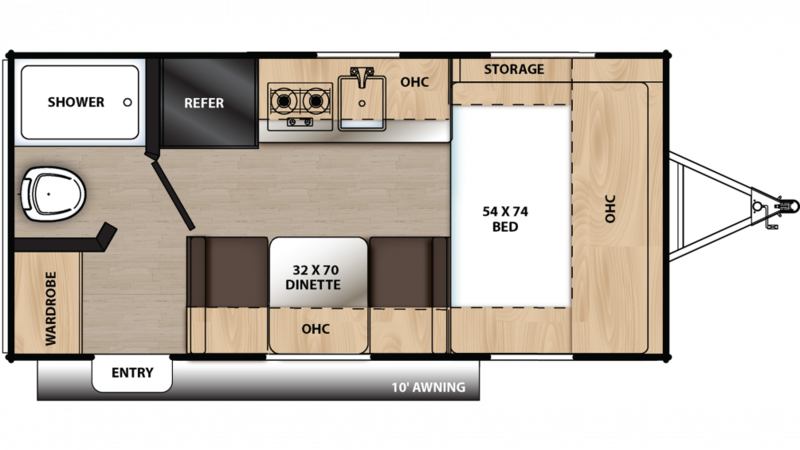 Make your next trip one to remember with this New 2020 Coachmen Catalina Summit 162FB! Plan a journey across the country with this stunning Travel Trailer! To see why Gillettes Interstate RV is the best East Lansing RV dealer, stop by 7210 E Saginaw St East Lansing Michigan 48823 to see our huge inventory of affordable Travel Trailer RVs! Or, call us at 517-339-8271 to talk to an RV expert now! No matter where you are in the world, you can enjoy shade and comfort outside under the 10' 0" awning! This reliable rig has a GVWR of 3830 lbs. and a hitch weight of 330 lbs. With the 33 gallon fresh water tank, you'll be able to enjoy clean drinking water throughout your vacation! Cook up delicious meals in the kitchen, which features a 2 burner range cooktop and a 7.00 cu. ft. refrigerator! Have the convenience of your own personal shower and Marine Foot Flush toilet wherever you travel in this Travel Trailer! With lbs. of LP tank capacity, your showers can be longer and hotter than the communal bathroom's! Used water and waste is stored and hidden in the 25 gallon gray water tank and the 25 gallon black water tank.